When you think about 5G, what comes to mind? Lightning-fast downloads? No more waiting for that video to load? While this is all true - 5G is 10X faster than 4G - 5G holds much bigger potential than just watching that video without buffering. As Rahul Shah pointed out earlier this week, 5G itself can unlock the potential for a plethora of applications in medical services, industrial automation and other such industries which will benefit from quick data transfer. But the potential of the 5G technology doesn't stop here. 5G implementation also opens the door for the internet of things (IoT) devices and applications in smart cities. 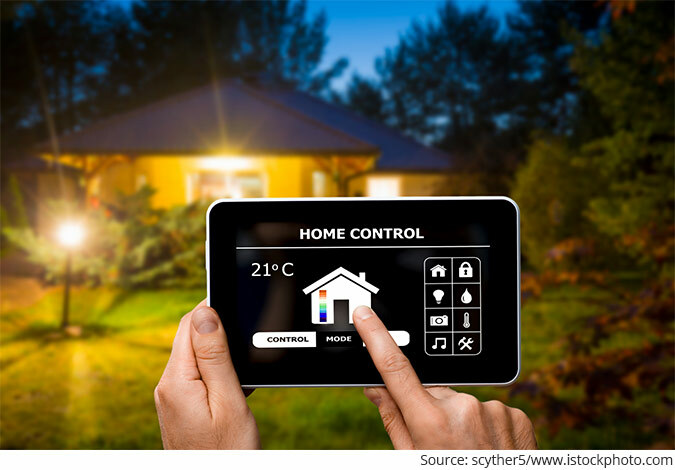 IoT is essentially an amalgamation for connected devices like smartphones, smart cars, smart TVs, wearables, and even refrigerators. IoT allows these devices to 'talk' to each other over the network. For example, you can unlock your house door from your smartphone, even when you're in office; or you could turn on the air conditioning even before you are home. The possibilities of IoT just for consumer applications are endless; not to mention the industrial applications enhancing efficiency. For now, IoT devices rely on Wifi or NFC and Bluetooth to communicate with each other. These technologies have their own limiting factors such as range and latency (speed of input and output). 5G brings the promise of faster speeds with very low latency, allowing for a lot more applications of IoT. According to a Gartner report, connected devices across all technologies will reach 20.6 billion by 2020! With so many devices flooding the market, this is an opportunity one must be ready to take advantage of. Think about it. No phone, computer, or modem on the market today is 5G 'ready'. Do You Own Any of These 7 Stocks? 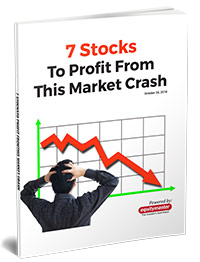 Have you claimed access to Tanushree Banerjee's 7 Stocks to Profit from This Market Crash? If you haven't – we'd strongly recommend it. All 7 stocks are in the BUY zone right now – but there's no saying how long they will remain. Claim your FREE copy of this report right away. 5G implementation would also mean new types of towers, the cables to connect them, newer batteries and a host of infrastructural changes, which means that with the imminent rollout of 5G in India, everything will need an upgrade. Now as you know, I am always on the lookout for disruptive Indian companies, poised to make the most of such structural changes. While most Indian companies are technological laggards and prefer to follow the herd rather than jump in head first, every once in a while, I come across some exceptions. And while it is a little early to talk in detail about it, I have on my radar a small cap company that I believe will be a key beneficiary of 5G revolution, and opportunities it brings. While it is still early days, I'm keeping a firm watch on its progress and will be sure to let you know when it is time to buy. PS: India is poised for a fantastic ride with 5G - but only if you get in early enough are you going to profit. So, get the right research now and stay ahead of the curve. 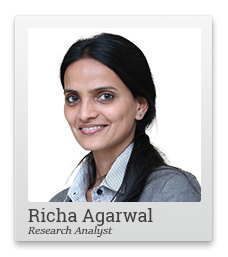 Sign up for Richa's research service here. Equitymaster requests your view! Post a comment on "How to Profit from the Coming 5G Revolution". Click here! 1 Responses to "How to Profit from the Coming 5G Revolution"
After reading the post and relative links highlighted, I couldn't manage to understand which is that disruptive Indian company which would Profit from the Coming 5G Revolution.